Batting and backing - 2/3 yard and the backing and batting needs to be 2/3 yard X 56". Also the special quilting panel. (We have two different ones for sale). Use 505 to secure the batting & backing & top together. 1. 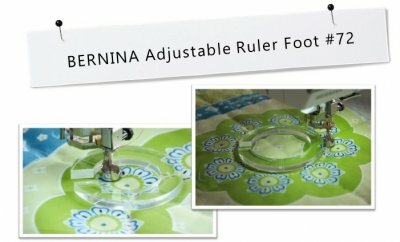 Sewing machine in good working order with the cord & foot control. 2. Ruler Set with all of the white film removed.